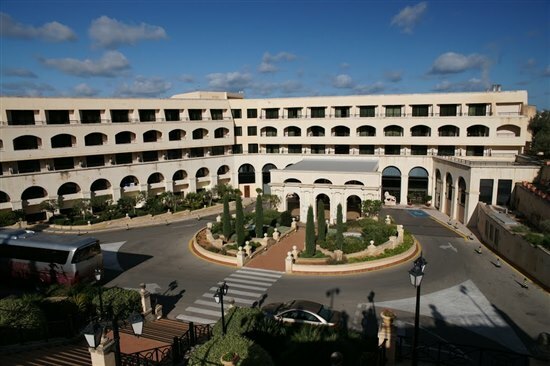 Today, we are so excited to be here at the Grand Hotel Excelsior in Valetta, Malta with more than 230 of our security-focused partners, for the annual Dell Security EMEA PEAK16 conference. This is Dell Security’s opportunity to affirm our commitment to our channel partners and to work together to protect our customers. The conference comes at a time when the cyber threat landscape is hotter than ever. We can’t deny the headlines reporting how enterprises of all sizes are under attack. And it’s clear that most of these enterprises are ill-prepared to keep pace with the threats or deal with the inevitable breach. This is where Dell Security’s Channel comes in. These talented organizations are where enterprises must turn to seek advice and action on how to protect their brands, their assets and IP, and their customers. Together with our Partners, Dell Security is on a mission to protect our customers! If you are a CISO how do know if you can defend against the countless known and unknown threats? Is your customer data safe? What to do about ransomware? We recently launched a worldwide campaign focused on helping these CISOs understand how they can address these security threats that prevent them from supporting the business of their enterprise and swiftly move from being an obstacle to an enabler. We help them become the Department of Yes. Dell Security EMEA Peak16 details for our partners how to architect and deliver the security solutions that turn “no” in to “yes.” How to break down the siloes that exist between all the traditional elements in a security blueprint. I am excited to spend the next few days showing our partners how by leveraging our Dell SonicWALL network security and Dell One Identity portfolios; we can inspect every packet and govern every identity in a seamless, integrated way that delivers superior security. We recently saw a great guest blog by Eamon Moore managing director of EMIT our premier partner in Ireland, highlighting what he is looking for this year to expand his knowledge and networking with peers across Europe. With the packed agenda and expert speakers, we hope to inspire our Partners to drive conversations with their customers that go well beyond bits and bytes, to approach a security strategy in a different, connected way. In doing so, our Partners will be able to add more value as the trusted advisor and enable their customers to become the Department of Yes. We are looking forward to meeting up with Jason Hill, Sales Director for Exertis VAD Solutions, our premier partner. “Our relationship with Dell Sonicwall spans nearly two decades, in 2017 we will celebrate our 20th anniversary, and I know the commitment from both parties makes our relationship rock solid. Dell Security has opened up new opportunities for us and more importantly our channel, and we are looking forward to working with our partners to provide comprehensive security to their end user base. Peak 2016 in Malta will be packed with the latest solution and product updates. We never miss attending these events as they are the perfect opportunity to catch up with the staff from Dell, meet our channel partners and learn together.” Jason Hill, Sales Director, Exertis VAD Solutions, United Kingdom. 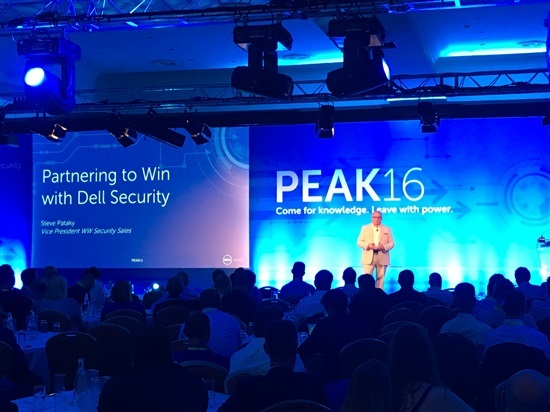 EMEA Peak16 also provides a great forum for Dell Security to outline all of the new programs, tools, resources, enablement and incentives we are investing in to help our Partners build an even more significant and profitable practice with Dell Security. A significant portion of the agenda is also dedicated to deep dives into our product portfolio – both the evolution and latest features of long-standing products like our Dell SonicWALL next-gen firewalls, Dell Secure Mobile Access and Dell SonicWALL Email Security that many of our Partners have made mainstays of their security solutions for many years, as well as new and exciting security services such as Dell SonicWALL Capture ATP. Partners tell us that our rock solid portfolio and recent innovations in these areas inspire them, and we are confident we can Wow them with this at EMEA Peak16. Finally, Dell Security EMEA Peak16 is a tremendous opportunity for feedback from our partners on what we can do to enhance and support their business. I’m excited to continue this two-way communication where our partners advise us on our products and programs, our sales investment and sales motions, helping improve our support and the overall customer life cycle experience we jointly deliver. As the head of sales, I’m hoping to learn how we can team most effectively with our Partners to compete and win incremental business. We have built a deliberate and fully dependent go-to-market model on our partners, and it’s important to me that we are the best business partner we can be to them and that we strive to be easy to do business with. And one last thing, as my 25 years of working with partners has taught me, an event like Dell Security EMEA Peak16 is also an opportunity for us all to get to know each other better, to connect on a personal level and have some FUN! We are united in our mission to protect our customer and the more personal our bond, the more effective we will be in our pursuit of this very important mission. For those who cannot be with us, I encourage you to follow the ongoing discussion on Twitter with #EMEAPEAK16, #PartnerDirect, @DellSecurity @DellChannelEMEA and post your comments below.